With a fourth Rip Curl Pro title just secured at Bells Beach, it seems safe to say there's still some distance left in Mick Fanning's professional surfing career. But that hasn't stopped him and three fellow Aussie surf legends planning ahead for a future after surfing. 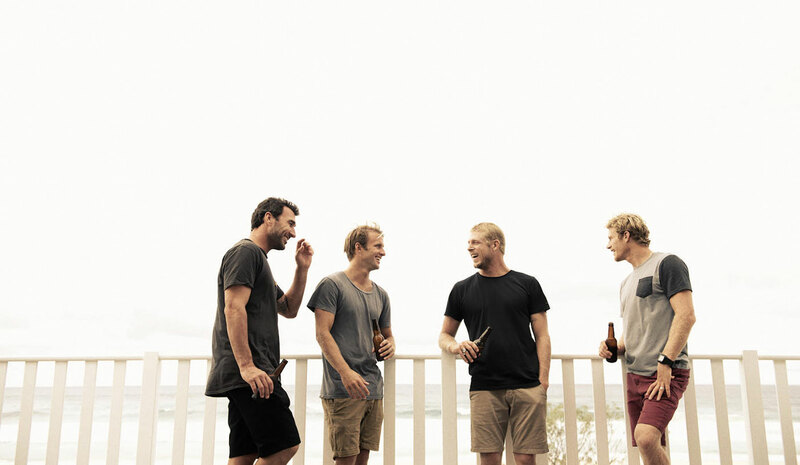 And it's a future that's going to have both the surfing and beer worlds abuzz: Joel Parkinson, Bede Durbidge, Josh Kerr and Mick are opening a brewery on the Gold Coast. 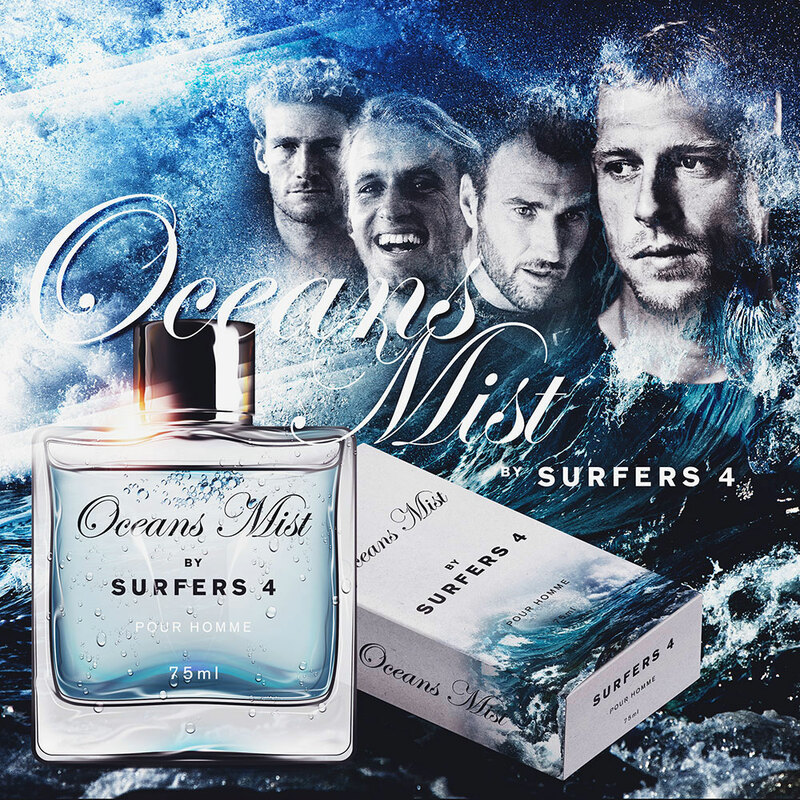 The day after they sent out a hoax press release claiming they were entering the world of male grooming with a men's cologne called Oceans Mist (see PR image below), one of their co-conspirators Stirling Howland confirmed to The Crafty Pint the rumour that we'd first heard when in Queensland last month. By the end of this year, they hope to have the first Balter beer brewed at their home in Curumbin Waters pouring from taps around the Gold Coast (and possibly at a handful of venues elsewhere). "I was working on my own thing last year when Mick called from Hawaii and said they had an idea they'd been thinking about for a while," says Stirling Howland, the brand strategist with more than a decade at Billabong under his belt who's now part of the Balter team. "They'd all been having similar thoughts but hadn't talked about it. They were really keen to start a brewery on the Gold Coast." So that's what they're doing. They've leased a large warehouse space, already have eyes on the adjacent one, have lined up a top brewer and plan to establish Balter in their local region before, all being well, expanding nationwide. "We want to start regionally and be immersed in the Gold Coast," says Stirling. "This city has been our whole lives so if we can put something back into the community that's really important to us. "We'd love to think we'll be making great beer. If you look at people like Burleigh Brewing, Stone & Wood or 4 Pines, if you're doing great things it's pretty natural that you'll grow but we want to make sure we earn our stripes like everyone else. We have to make great beer and that's what we're all about." As for the name Balter, it's a term that means "to dance artlessly without particular skill or grace, but usually with enjoyment" and is the spirit with which they plan to infuse their beer and brewery. Or, as they explain further, it's the "feeling of enjoyment you get from doing something you love. It sums up everything we believe." Helping them encapsulate that feeling in beer form is Scotty Hargrave, the former Stone & Wood and Byron Bay Brewery brewer and all round top bloke who's been sharing his home brews (including an XPA and saison) with the guys as they await the arrival of equipment to fill the 753 square metre space they've leased in Curumbin Waters (the empty shell we posted a photo of on Instagram last month when we were doing some digging...).We'll be chatting to Scotty in a few weeks to find out more about the beers but, says Stirling, the aim is to release the first one before the end of 2015 with two more core beers to follow in 2016 alongside a series of one-offs every couple of months.The intention is also to turn the brewery itself into a destination next year, with drinkers able to come and drink at the venue. "Between their schedules, [the four guys] are going to be really involved," says Stirling. "They're a bit like me in that they're into craft beer – it's their drink of choice – so they're really keen to immerse themselves in all aspects of the brewery. "They'll all be pouring beers at one time or another; one of our employment policies is 'Would you have a beer with them?'. "They're just good Aussie blokes and that will shine through in the Balter brand." 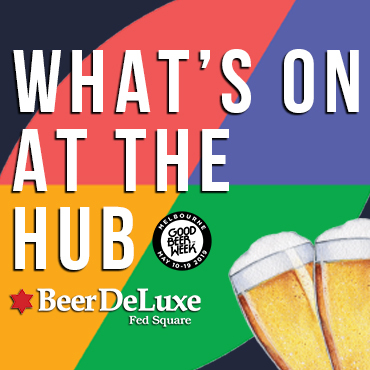 They'll join existing Gold Coast brewery Burleigh Brewing, themselves with links to the surf community (not to mention Hawaii), while Black Hops Brewing recently announced plans for a brewery in the area too. As for the Oceans Mist hoax designed to temporarily throw people off the, ahem, scent, he says: "It went viral across the surf scene. A lot of guys lost their minds!" No doubt they'll be losing their minds all over again – but with good reason – once word spreads about what Mick, Joel, Bede and Josh are really doing next.